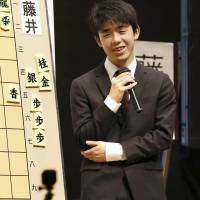 Sota Fujii, Japan’s youngest professional shogi player, blitzed a quick-play tournament on Saturday, defeating a field of much more experienced players that included master Yoshiharu Habu, holder of one of the most prestigious titles in the traditional game of Japanese-style chess. At the finals of the Asahi Cup tournament in Tokyo, Fujii, 15, beat Akihito Hirose, earning him an instant promotion to sixth dan from fifth. That made him the youngest player in shogi history to win both a championship and elevation to sixth dan. Fujii toppled 47-year-old Habu during the semifinals, bringing down one of the most talented players in the game’s history. Before Saturday’s match commenced, Fujii said Habu was a player he has admired since he first began playing. “I did my utmost to win the game and now I’m very happy,” Fujii said after besting the ninth-dan master. “It was a difficult game and I couldn’t tell if I could win” until near the end of the match, Fujii told reporters. Last year Fujii became a shogi sensation by stringing together a record of 29 consecutive professional wins. The Asahi Cup is a quick-play tournament where each player is given 40 minutes. It is open to all ranks of players, including amateurs. Before Fujii, the youngest person to ever win a tournament organized by the Japan Shogi Association was Hifumi Kato, who won the Roku Go Yon Dan tournament, predecessor of the Kio title, in 1955 at the age of 15 years and 10 months. 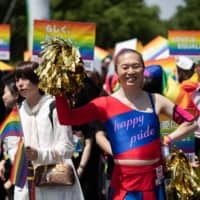 Fujii did it four months faster. 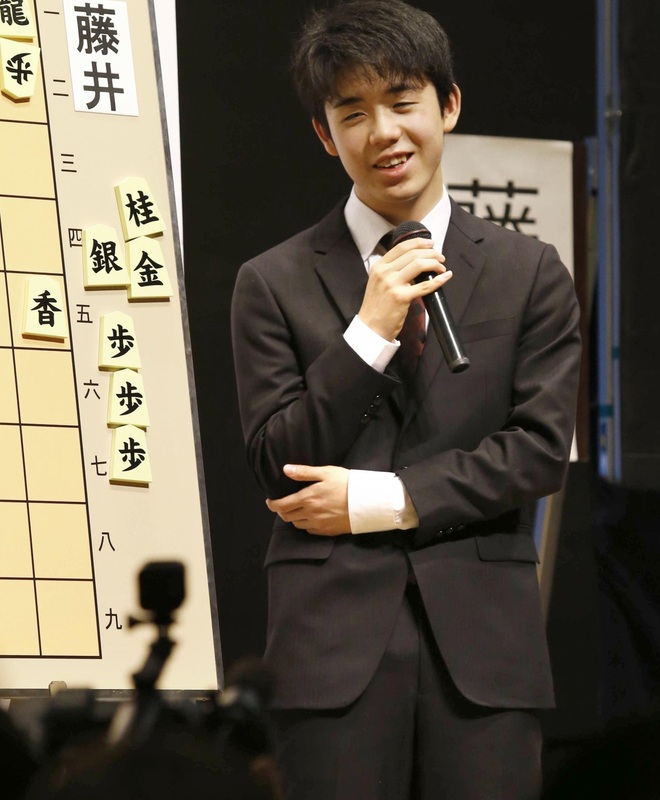 The teen phenom’s race to claim the all-time record for consecutive wins captivated the country last year, inspiring brisk sales of children’s books about shogi and enticing more young people to play it. The feat was achieved on June 26 as he extended his unbeaten record since his December 2016 debut to 29, breaking the record of 28 wins set in 1987 by Hiroshi Kamiya. The run sparked a level of interest unseen since 1996, when Habu made a clean sweep to claim all seven top shogi titles at once. 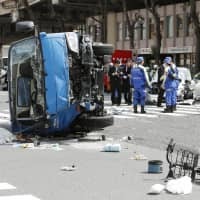 Fujii, who before the tournament held the second-lowest rank of fifth dan, and Habu, winner of the prestigious Ryuo title and a ninth-dan master, had only met in two unofficial matches, taking one apiece. Fujii earned a spot in the semifinals after defeating Amahiko Sato, holder of the prestigious Meijin master title, in a quarterfinal match on Jan. 14. It was his first official win over any title holder. Habu reached another high last December, capturing the Ryuo title for the seventh time overall and becoming the first champ ever to earn eisei lifetime honors in all seven major titles. Eisei is an honorific title bestowed after retirement. 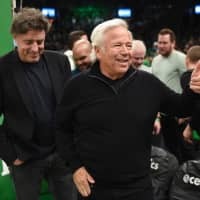 The honor is only given for each title after one has cleared certain conditions including number of consecutive titles won or overall times for holding a title. There are eight major titles in shogi, but the condition for receiving the eisei for the Eio championship, which was elevated to the elite group last year, has yet to be announced. 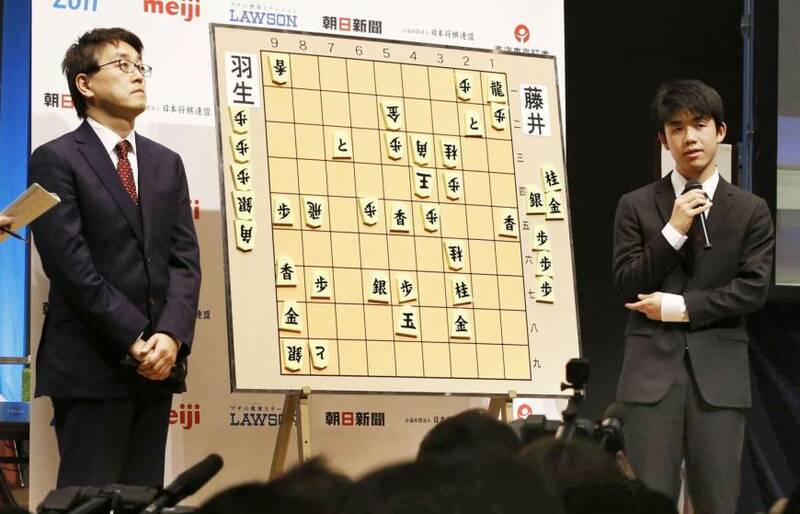 The government on Tuesday bestowed the People’s Honor Award on Habu, making him the first recipient of the prize in the world of shogi. Commonly described as Japanese chess, shogi can be more complicated than chess. The players, given 20 pieces each, can reuse those captured from their opponent and bring them back into the game as their own. The object of the game, thought to have originated from the ancient Indian game of chaturanga, is to capture your opponent’s king. In shogi, the pros are ranked between fourth dan and ninth dan, the highest in the six-level system. 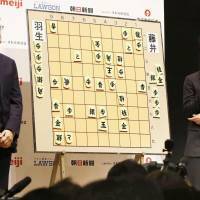 There are around 200 active and retired players, according to the Japan Shogi Association.